Here is an outstanding deal. 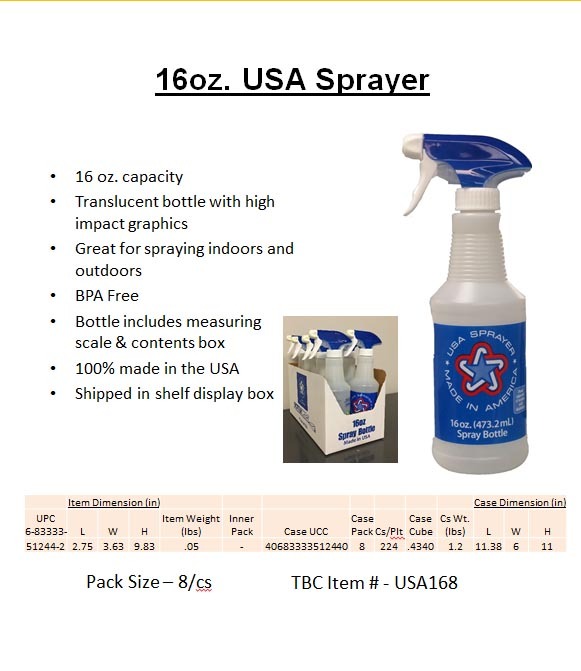 We have 140,000 of these spray bottles available as a close-out. FOB Detroit. These are packed in a shelf display box. Case pack is 8 and 224 cases to a trailer high pallet. Total inventory is 3 truckloads. Samples available. Best point is the cheap, cheap price—take all for $0.40 cents each.